Best quality and guaranteed services. We are one of the best flower shops in Chennai established in the year 2004. 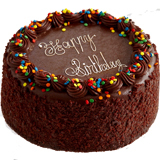 We are florists based at T. Nagar with business name Confetti Flower Cakes and Hampers. 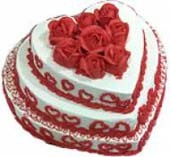 We render services to send flowers and gifts delivery in Chennai. This website is created for customers to enjoy hassle free online shopping for door step home delivery all through Chennai and adjacent areas like Kancheepuram, Chengelpet, and Thiruvallur etc. We also cater florist services to other cities of Tamilnadu such as Coimbatore, Salem, Pondicherry, Tirunelveli, Theni, Madurai, and Erode. 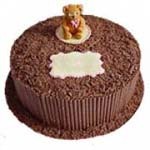 Customers ordering flowers and gifts can get same day delivery to all above mentioned places. They can book order online using all major credit cards like VISA, Master Card, AMEX, Diners etc. through CCAvenue payment gateway or through PayPal also. Indian debit cards are also acceptable for online payments. Our service includes mid night delivery which are limited to Chennai within its city limits only. We do have take away facilities of flower arrangements and cakes. We request customers to reserve their booking prior on festive days such as Valentines day, Christmas, mothers day and wedding season. We use fresh flowers which arrive daily morning from Ooty and Hosur farms. Our floral arrangements with exotic flowers like orchids, lilies, anthuriums and bird of paradise is having shelf life for a week. Note- Flower needs proper caring or at least changing water for a better blooming life. 1. Making/arranging flower bouquet, flower baskets, grand arrangements and vase arrangements. Urgent needs for flower wreath for condolences are taken care. 2. Wedding car decorations are done in the front of our shop and by visiting at customers place also. 3. Making wedding garlands [varmala] and bridal bouquets. 4. Door delivery of floral arrangements, gifts and fresh baked cakes. We have two wheelers with delivery team for taking care on this part. 5. Customized orders are accepted and executed as per demand. 6. On time delivery of orders are accepted and handled with care. 7. We cater our services to individuals, hotels, corporate, mandapams, and churches. 8. We do extend our floral and related services for party events such as marriage, new business opening, birthdays and new house opening. 9. We also create artificial flower arrangements and keep for ready display in our shop for sale. 10. We do arrange for occasional gifting on Valentines day, Mothers day, Fathers day, Rakhi, Christmas, New years etc. 11. Last but not the least, we do balloon decorations and stage decoration for birthdays and marriages for which we have specialized team. All the above activities are mainly confined within Chennai jurisdiction. 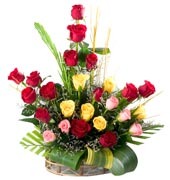 Enquiries are solicited from customers over phone or through mail or they can order online directly at www.flowerschennai.com .